Autumn is here, and that means it’s time to start putting out food for our beautiful feathered friends. If you don’t have a bird feeder, or you’d like a prettier feeder (or two or more), or you’re looking for a useful do-it-yourself gift project, guest contributor Samantha Joyce shows you how to invite the birds to share tea with you. With a few odds and ends from a home improvement store you can make a mini platform bird feeder out of a cute cup and saucer. The teacup holds the bird feed while the saucer acts as a shield to prevent Mr. Squirrel from taking over the smorgasbord. Teacups are better suited than mugs since the cup and saucers are thin enough to drill through with a bit designed for porcelain. 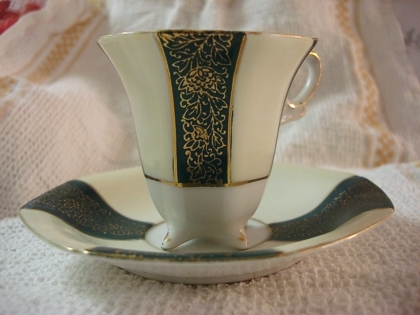 teacup and saucer – from a thrift store or garage sale; the birds don’t mind mismatched or chipped! First, find a stable surface. I have holes in my dining room table after one craft project that involved turning teapots into flowerpots. Do yourself a favor and use a magazine or phone book to prevent this kind of damage. 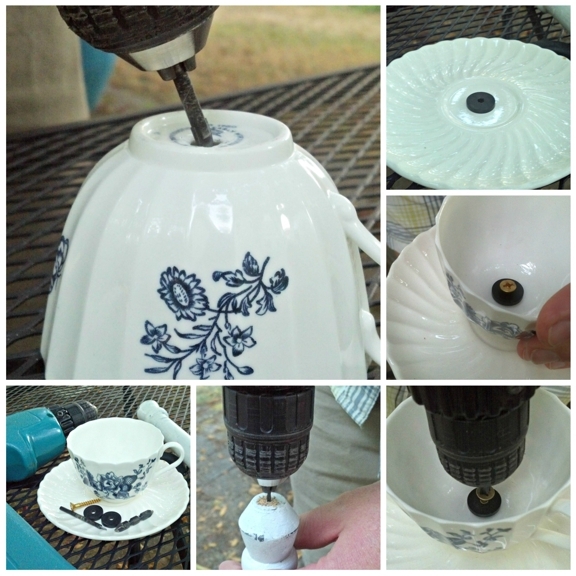 Drill the bottom of the teacup slowly with a bit designed for porcelain, ceramic, and glass. I like to drill the teacup as it sits upside down for easier access. The hole should be centered but it does not need to be even. Be careful not to apply too much downward pressure. Let the drill do the work for you. Repeat this step with the saucer. Set aside. A wooden table leg comes with a long pre-threaded section to attach it to various table surfaces. In this case we turn things upside down: the threaded end becomes a very sturdy spike to plant the bird feeder into the ground. Use the wood drill bit to pre-drill a starter hole for the wood screw on what used to be the bottom of the table leg. It does not have to be as large as your wood screw and only as deep as the wood screw. This is now the top of the bird feeder post. The three rubber washers are used to insure that the teacup and saucer do not fracture under stress when you snug things up with the cordless drill and Phillips head bit. 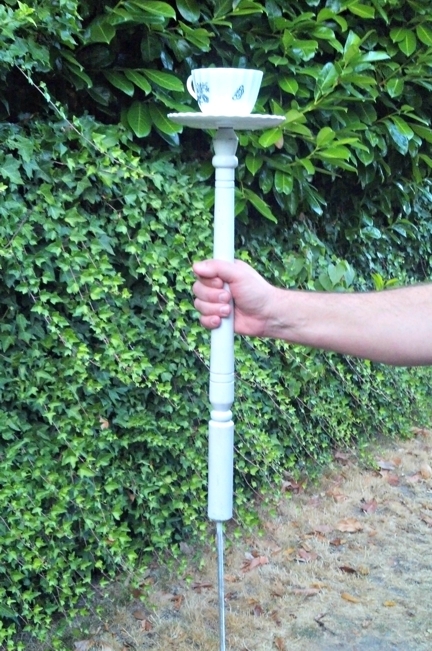 Have a friend hold the table leg, with the spike end down and the starter hole up. Balance a washer, then the saucer, an additional washer, the teacup, and the final washer. Carefully center the wood screw and use the cordless drill with Phillips head bit to slowly unite the layers at once. Voilà! This is a quick and easy project once you get the hang of it. You can do it yourself, but it is always nice to have an extra set of hands. 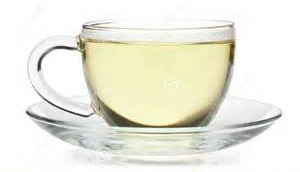 And a cup of tea! These make excellent homemade gifts and look charming in multiples around the yard. If you do not have a yard, they also look terrific set into a large potted plant. For notes on selecting the right kind of bird feed, bird feeder placement and other common bird feeding questions see The Great Backyard Bird Count. Samantha Joyce is a writer for Seattle Coffee Gear and enjoys sharing her knowledge of all things coffee and tea. 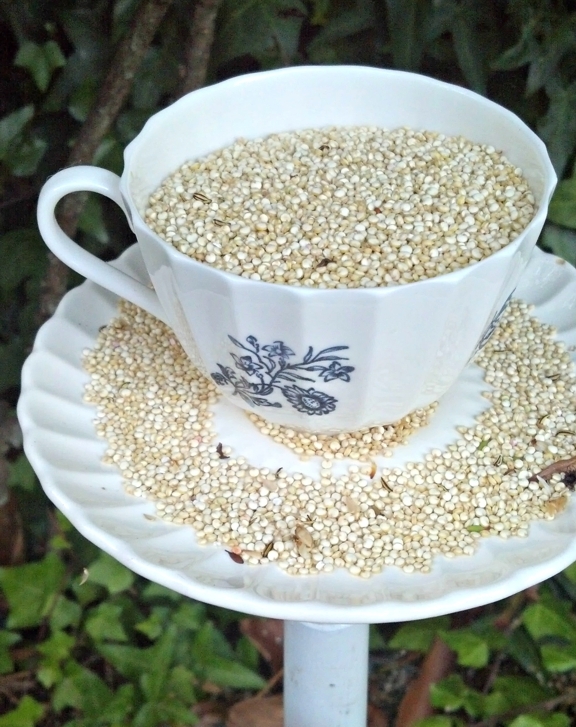 She has made many, many teacup bird feeders — and you can too!